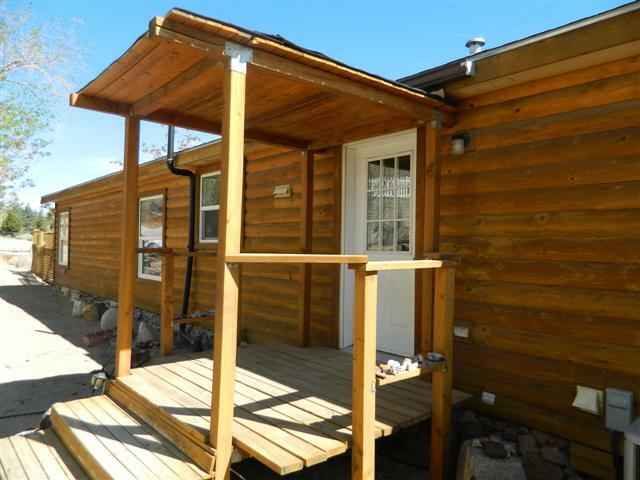 Adorable log cabin style manufactured home with lots of upgraded features, such as an extra insulation package and hardwood floors! The kitchen features a butcher block, skylight and pantry. Spectacular view of the White mountains from the living room. A bonus room adds extra family living space. Sunny master bedroom with a skylight and walk-in closet. The full master bathroom has beautiful marble floors, a garden Jacuzzi tub and separate shower! You also have space for horses and/or toys on nearly a full acre of land.